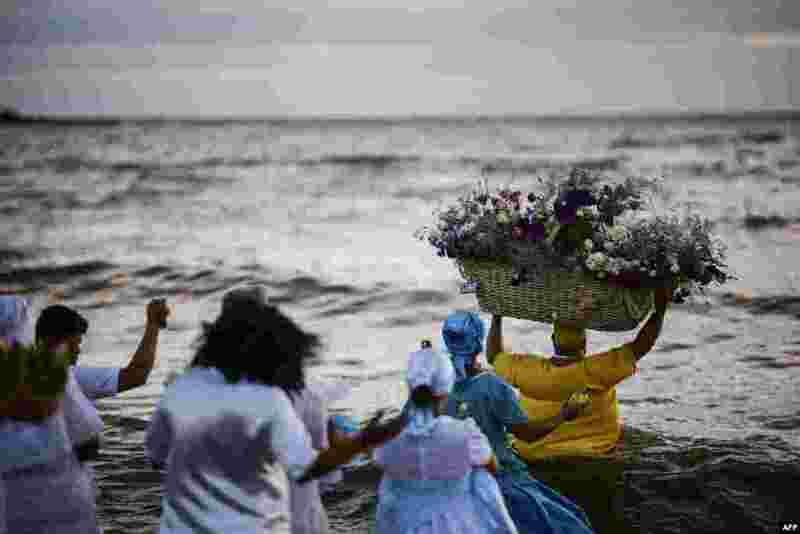 ٥ A priest of the Afro-American Umbandista cult launches a basket with offerings into the sea to Iemanja, the African goddess of the sea, at Ramirez beach in Montevideo, Feb. 2, 2019. 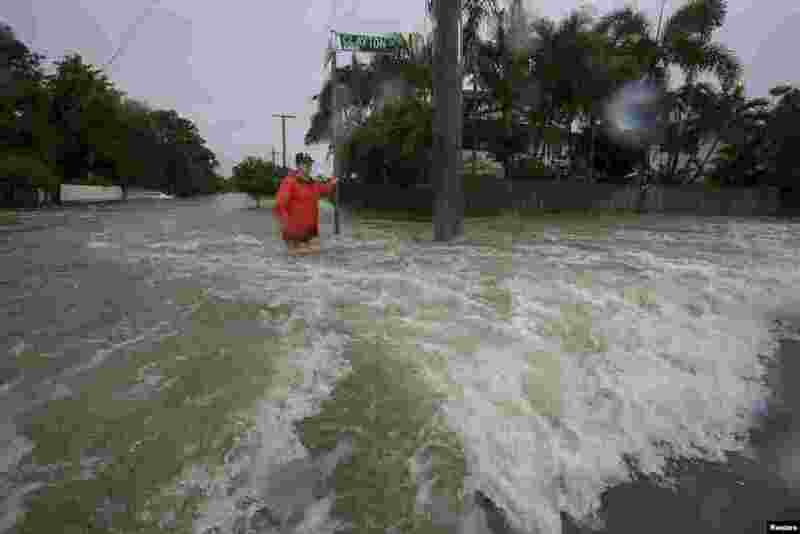 ٦ Amelia Rankin stands in flooded waters in Hermit Park, Townsville, Queensland, Australia. 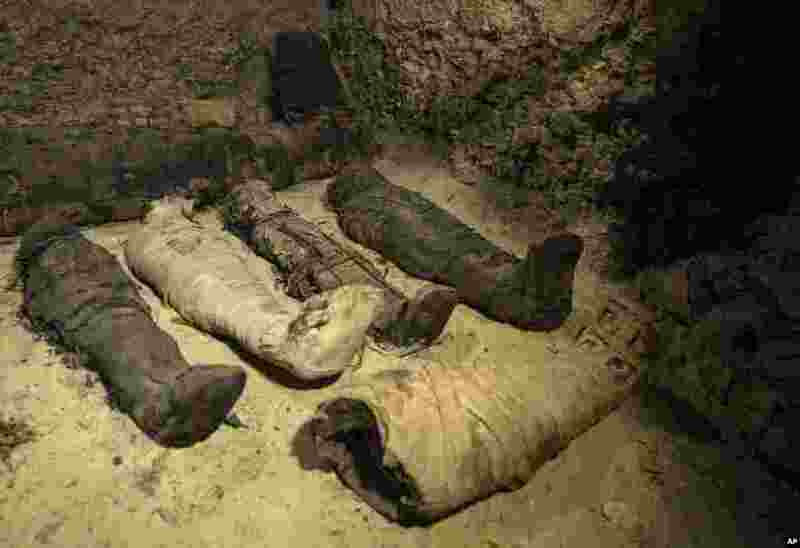 ٧ Mummies lie in a recently discovered burial chamber in the desert province of Minya, south of Cairo, Egypt, Feb. 2, 2019. Egypt announced that it found a number of ancient burial chambers cut in rock, with about 40 mummies that are in good shape, along with pottery, papyri and exquisite mummy cases. 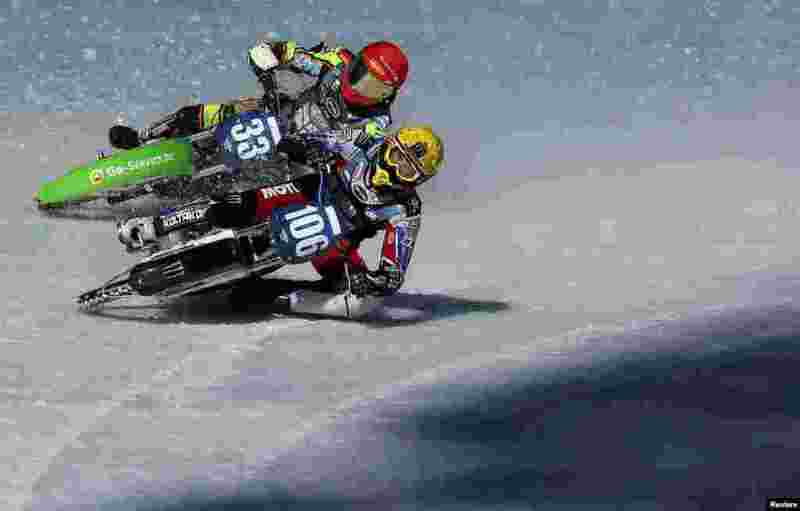 ٨ Johan Weber of Germany and Dmitry Koltakov of Russia compete during the final round of the FIM Ice Speedway Gladiators World Championship at the Medeo rink in Almaty, Kazakhstan.